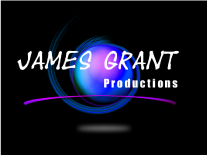 Get ready for quality entertainment from James Grant Productions Winnipeg, Manitoba. We create enjoyable and unique events with awe-inspiring magic shows, action-packed hypnosis shows, professional DJ services, temporary glitter and airbrush tattoos, and much more. With over 35 years of experience, you are guaranteed a breathtaking performance every time. Our family-run business means we can personalize each event to fit your special event and audience. Call today to learn more about our custom packages.